Girls from St. Francis College in Begumpet, put your hands up! We think you're lucky to be surrounded by some really cool food joints making sure you never go hungry, and that all your cravings are attended to. So, here's a list from the cluster around White House, where you sure have had some good food, and even better times. This suave pub and its combo meals have sorted many a lunch woes. It includes one soup/pint/cocktail/beverage, plus a main course dish of your choice — choose between Continental, Indian or Chinese pre-plated dishes from the menu, and a dessert. Perfect place to hangout with your girl gang when you're in a mood to bunk college too, we think! And it's budget too as all of this costs INR 200-300. Extremely hungry and need a quick but filling bite? Then Tibb's Frankie is a saviour. We know it's a favourite for not just Francis kids, but for people from all around the city who grab the pocket friendly, cheesy frankies after shopping or every time they're in the area. This place can also get really crowded, but their Chettinad Chicken Frankie is certainly worth the wait. All the Game Of Thrones fans, and biryani lovers gather here. This cost-effective, two floor, concept eatery is many a student's hub, thanks to its chilled out vibe and casual ambience. The food is also served in generous quantities. We absolutely enjoyed our biryani, but we're told one shouldn't miss the Laham Mandi here. Right outside King's LANDING is an Italian food joint which makes amazing pizza, hot dogs, pasta, and sandwiches! Italian Fresh Cut is the adda where you share your food with friends, and sip thick shakes between giggles. Know those places that look super fancy, and are unreasonable expensive? This place is the exact opposite of that. Chow down ice-creams, sweet treats, and savouries at IceKraft. De-stressing during exam preps and meeting over project discussions made better instantly. Wouldn't you agree? While here, try their Cheesy Jalapeno Friffles fries in a waffle cone), and you can thank us later! Who doesn't love a good dose of chaat and some gol gappay after a long day at college? That's when you hit up the chaat stall in White House, right across Tibb's Frankie. They have enough seating for a small group of four, but their menu is vast. 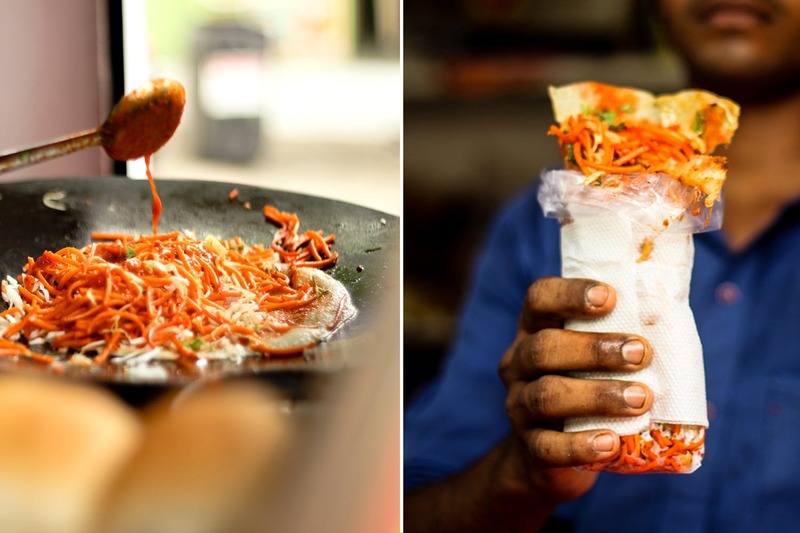 From dahi puri to samosa ragda, devour it all here. Missed your favourite eatery? Tell us in the comments!